For many client’s divorce is unimaginable. You were in the middle of living your life and suddenly, everything has changed. 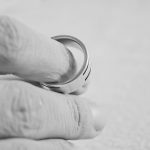 After the decision to divorce has been made, *How* you divorce will be one of the most important decisions you will make for yourself and your family. Collaborative Divorce is a team approach to assist you and your family through the transition of divorce. Divorce is Legal and Financial, and it is also Emotional. In the Collaborative approach, you and your spouse each have a Family Law Attorney and a Divorce Coach as part of your team. Through Collaborative Divorce, you stay in charge of the process, keeping your issues, concerns and decisions out of court. You and your spouse maintain control over the process, your finances and your resources. Your Divorce Coach assists with the emotions involved in negotiating, communicating, and co-parenting with your soon to be ex-spouse. Through this process, clients often find their voice. You and your spouse will be supported in understanding one another’s triggers and needs often resulting in agreements that stick.